Will I lose my data if I re-install TO3000? Re-installation of the program will not affect your database. 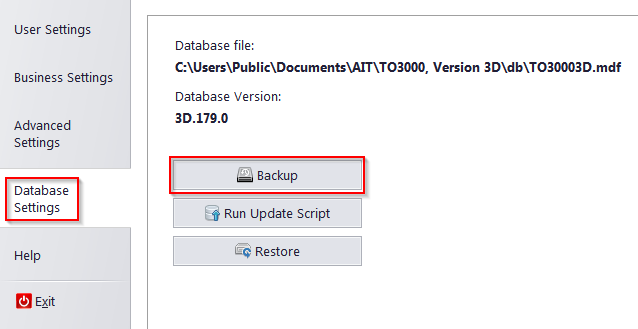 However, for more safety you can make a backup of your database in "Database Settings >> Backup".